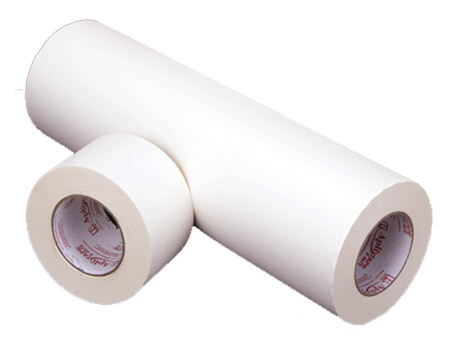 FDC Series 2614 is R Tape 4075 RLA® Conform® series application tape. This product is a standard weight paper with a high tack adhesive. Uses include: small to medium size lettering & graphics, hard to lift vinyls, and wet applications. RLA® (Release Liner Adhesion) offers improved adhesion to release liners, providing superior lay flat to prevent tunneling and edge curling.